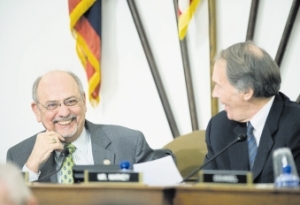 Representative says NMFS plan could harm collaboration of groups involved in fisheries. A Washington congressman is questioning the value of an effort by the National Marine Fisheries Service to conduct an assessment of opinions surrounding Columbia River salmon recovery strategies. U.S. Rep. Doc Hastings, a Republican who is chairman of the House Natural Resources Committee, wrote a letter to Jane Lubchenco, administrator for the National Oceanic and Atmospheric Administration, asking her to explain the point of the assessment. A staunch supporter of the four lower Snake River dams, Hastings said the agency should be spending its time and money defending the government's plan - known as a biological opinion - that aims to balance the operation of federal dams on the Snake and Columbia rivers with the needs of protected fish. He warned the assessment could undermine collaboration between the federal government and Idaho, Washington and Montana and Columbia River Indian tribes that produced the biological opinion. "The hundreds of thousands of taxpayer dollars NOAA plans to use for this 'assessment' to solicit likely recycled opinions will add little, if any, benefit, and worse, could potentially undo years of progress made to bring diverse Northwest entities together on these complex issues," he wrote. The assessment effort was announced in December in a letter from Barry Thom, assistant region administrator for the National Marine Fisheries Service at Portland, to more than 100 parties involved in salmon recovery efforts. It will be carried out by two academic institutes - the Oregon Consensus Program and the William D. Ruckelshaus Center. Thom said Tuesday the assessment and efforts to update the biological opinion, or BiOp, are proceeding on separate timelines and one is not detracting from the other. "We are trying to create a separation both in timing and in work between the assessment and the BiOp," Thom said. Work going on in 2013 will largely be done by contractors and not involve a large number of NOAA staff, he said. Many participants in salmon recovery efforts viewed the agency's intention to conduct the assessment as the initial step toward a regional collaborative process on the topic. During the past decade or so, collaboration has become a popular strategy to work through complicated and controversial natural resources issues. It has seen some success at resolving land management disputes in Idaho and elsewhere in the Northwest. Salmon advocates have been calling for a collaborative process to be applied to salmon recovery since the federal government's latest biological opinion was rebuffed in 2011. Federal Judge James Redden, who is now retired and has since publicly come out in favor of dam breaching, ruled the plan that keeps the dams in place lacked sufficient details and was not consistent with the Endangered Species Act. He gave the government until January 2014 to fix the plan. Thom said it is possible the assessment could lead to some sort of region-wide process or build on the collaboration that has already occurred. Oregon, the Nez Perce Tribe and environmental groups were not involved in that earlier process and instead challenged the biological opinion in court. "We think there might be some potential for collaboration but we want to conduct the assessment to make sure that is the case," Thom said. While it will cost about $200,000, he said it has the potential to pay dividends. "We think it is a useful exercise and given the millions spent in the Columbia Basin we think this is a prudent approach." Hastings also said in his letter that the agency should consider removing protections from salmon and steelhead based on healthy returns over the last several years. "Rather than launching a new process, NOAA should be more clearly explaining what is necessary to remove Columbia and Snake Basin salmon from the Endangered Species list," he wrote. 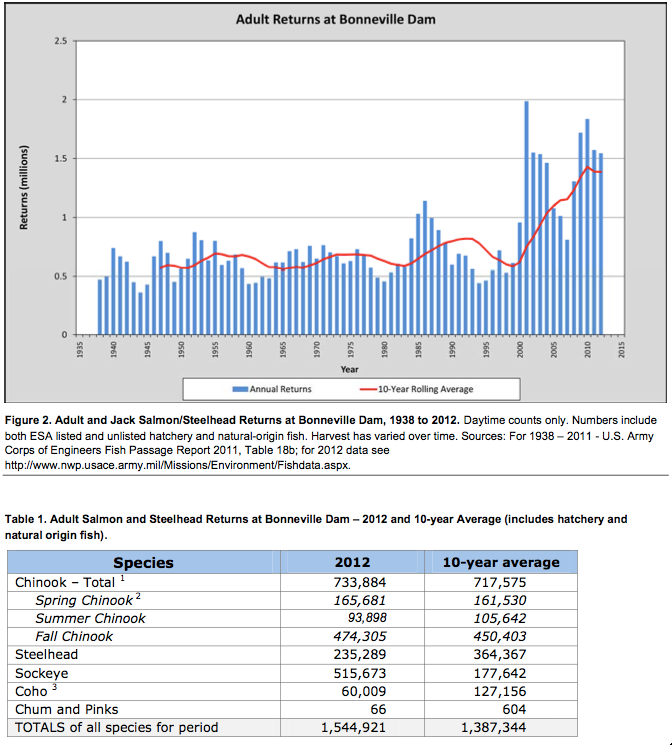 Returns of salmon and steelhead have been relatively strong recently, but Hastings counted hatchery fish in his calculations that are not protected by the Endangered Species Act. Thom said salmon recovery is going in the right direction but far from a point where removing wild fish from Endangered Species Act protections is warranted. "We are seeing signs of success," Thom said, "but we are quite a ways from recovery of wild salmon runs in the Columbia Basin and that is what we are working toward."